This trip will prove to be a truly authentic experience, with travelers and locals alike reveling in the million twinkle lights illuminating the buildings and the surrounding valleys. 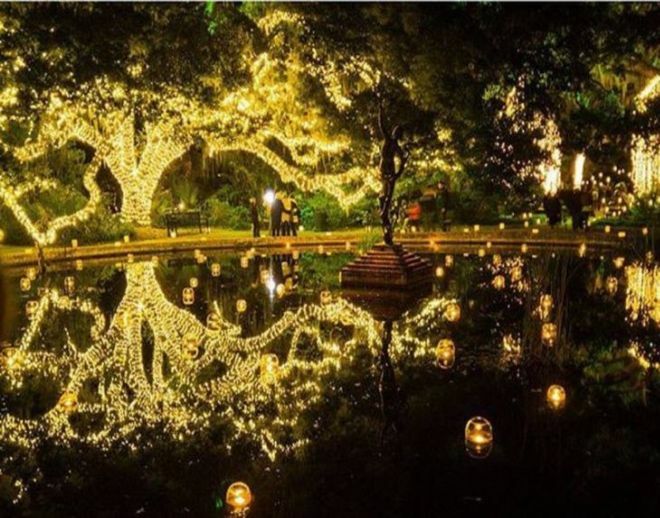 If you cannot resist a stunning display of Christmas lights, you must see this. Durango will provide a truly idyllic Christmas experience and is home to the Polar Express, a Cascade Canyon excursion that leads travelers on a 26-mile journey through the San Juan National Forest and Animas River in heated coaches. Once you have journeyed through the snow-capped mountains, you can enjoy some Christmas shopping at the shops on Main Ave. or go skiing on the slopes at the Purgatory Resort. Tip: After your trip continue on with the theme of the wild west by staying at the Starter Hotel in downtown Durango. The hotel offers a saloon-style bar, theater, and steakhouse. If you’d rather spend Christmas in warmer temperatures, Myrtle Beach in South Carolina is the perfect destination. It offers a variety of Christmas-themed shows, from The South’s Grandest Christmas Show at the Alabama Theatre to the Legends in Concert Holiday Show. Without a doubt, it offers something for everyone. Myrtle Beach also offers a large selection of light shows and holiday events such as meals with Santa Claus. Tip: For a beach-themed Christmas adventure stay at hotel Blue and sip on eggnog from the lazy river or beach which is located right outside of the hotel. Helen, Georgia is known for its charming alpine aesthetic that becomes even more magical during the holiday season. Pay a visit to the Hardman Farm Historic State Site, where reenactments take place every Friday and Saturday night in December. 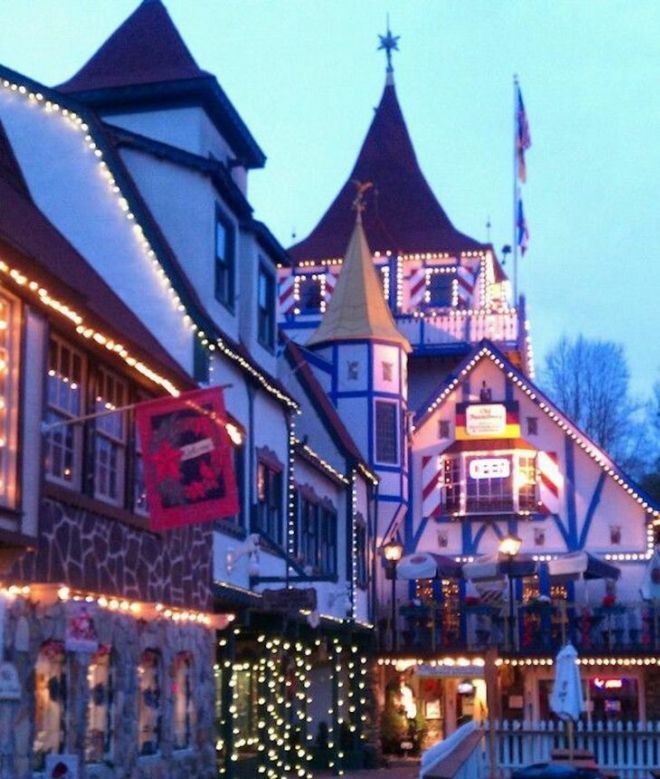 You’ll be in for a real treat if you visit Helen on December 8, for the Annual Christmas Parade, which celebrates the town’s Bavarian roots, while bringing the typical cheer of the season. Tip: Curl up with a book and some eggnog after a long day of sightseeing in your own private cabin in the woods. 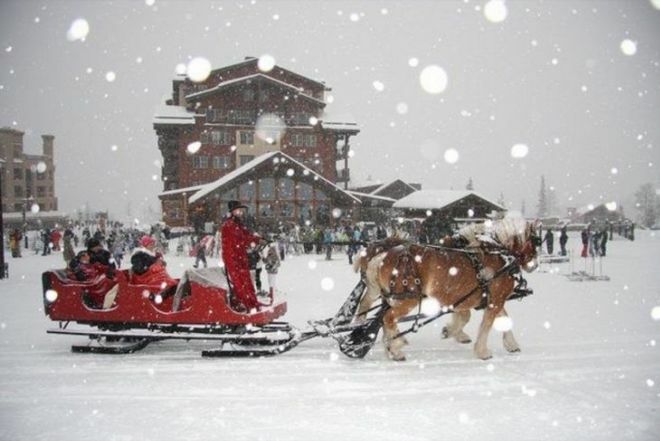 If a white Christmas is what you’re after head to Park City, Utah. This special, small-town is charming and features a number of restaurants and cultural events – especially during the Christmas season. While there, take a walk down Historic Main Street to indulge in some of the best holiday shopping in the state, surrounded by idyllic scenery. 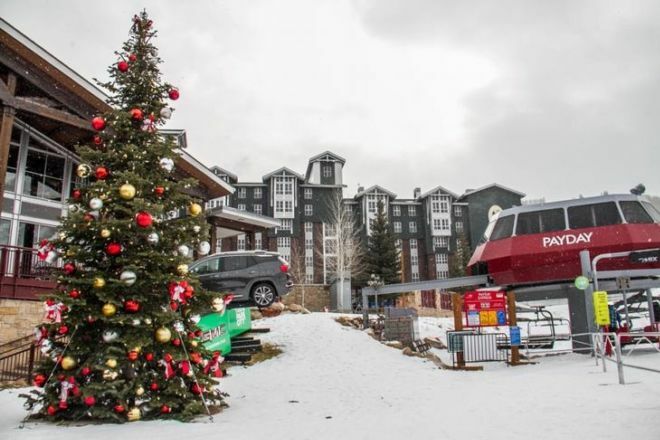 You can also revel in the mountain air and holiday cheer, by putting on a pair of ice skates and gliding around Park City’s outdoor rink in Park City Mountain Base Area. Tip: Book your stay at the Torchlight Inn Bed & Breakfast for a comfortable and classy getaway. This part of the states houses some of the most breathtaking historic French-Creole townhouses in the country. 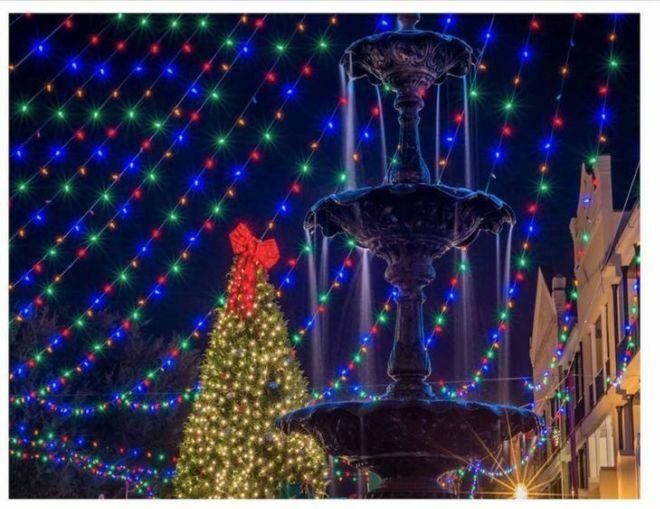 It is also home to one of the most famous Christmas festivals in the world – the Natchitoches Christmas Festival. This event takes place from November 17th to January 6th. 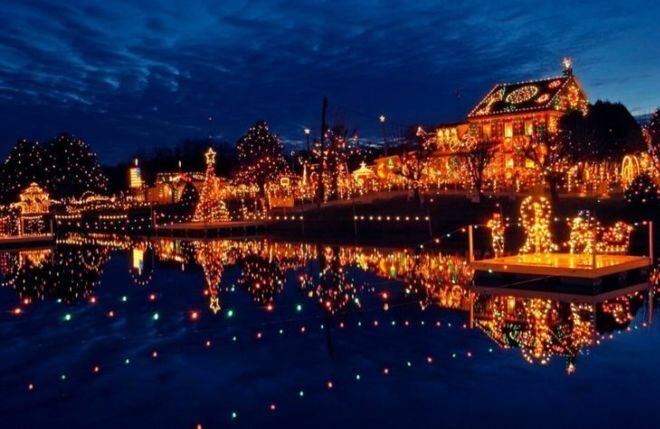 This festival features a number of local charming shops and restaurants and also provides historical Christmas-themed tours, live music and a stunning display of lights. Tip: Visit the Cane River Creole National Historical Park, which has managed to artfully preserve the plantations that once dominated this city’s landscape.